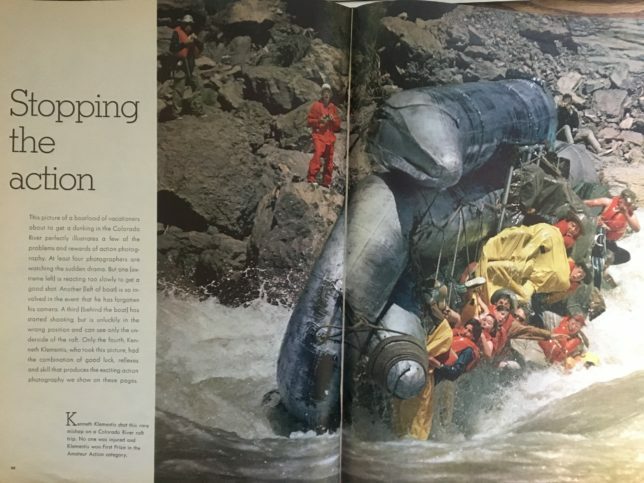 From Life Magazine Caption: Kenneth Kementis shot this rare mishap on a Colorado River raft trip. No one was injured and Klementis won First Prize in the Amateur Action category. The above photo, which has shown up in numerous books, on countless walls, and more recently on the internet comes from a special double issue of Life Magazine showcasing their photo contest of 1970. The issue was published on Christmas Day 1970. The photographer is Kenneth Klementis who was awarded a $5000 prize for winning the Amateur Action category of Life’s 1970 photo contest. 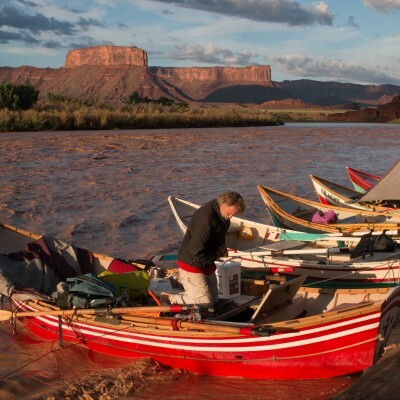 This picture of a boatload of vacationers about to get a dunking in the Colorado River perfectly illustrates a few of the problems and rewards of action photography. At least four photographers are watching the sudden drama. But one (extreme left) is reacting too slowly to get a good shot. Another (left of boat) is so involved in the event that he has forgotten his camera. A third (behind the boat) has started shooting but is unluckily in the wrong positions and can see only the underside of the raft. Only the fourth, Kenneth Klementis, who took this picture, had the combination of good luck, reflexes and skill that produces the exciting action photography we show on these pages. Posted January 13, 2017 by Crate Inc.